Water is used for a variety of daily tasks, but how much do you really know about your water supply? Do you know what to do in an emergency situation when you lose your water supply or require water removal from your home? Are you prepared for a household water emergency? Here are a few tips that can help you to prepare for the unexpected. When a water emergency occurs—plumbing failure, contaminated water, etc.—the first priority should be turning off your water supply. You’ll want to turn off the water supply at the point of entry to your home, which is located at the main water shut-off valve. Make sure you know where the main shut-off valve is located in your home and clearly label it so it is easy to find in an emergency. In addition, make sure that the valve is easily accessible by not storing items in front of the valve. After you have turned off your water supply from the main shut-off valve, you should open the drain valves. This will drain the remaining water in the pipes. Most drain valves are located on the downstream side of the shut off valve, sometimes they are a separate valve. Use a bucket to collect the drained water. It is a good idea when draining water pipes to open all faucets. Having a water storage supply is going to be crucial when preparing for a natural disaster—flood, hurricane, earthquake, etc. Natural disasters can strike at any time with little to no warning, which is why we recommend you always be prepared. So, how do you know how much water you should have stored? The U.S. Department of Homeland Security recommends that individuals store enough water to last a minimum of three days. Remember, water is going to be needed for drinking as well as personal hygiene. Store a minimum of one gallon of water per person, per day. Store your water in a cool, dark place. 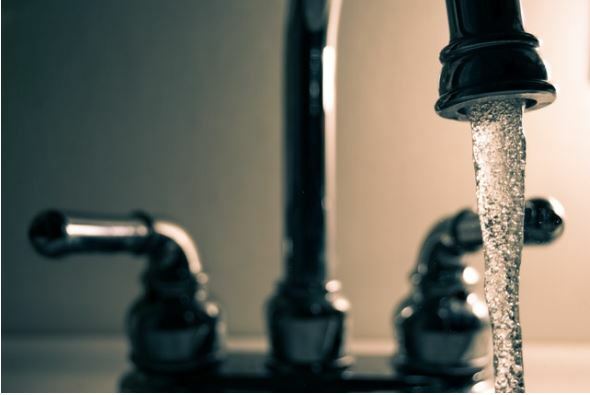 Regardless of the reason your water supply needs to be shut off, knowing how to react can help you avoid needing excess water removal services and help you safely and calmly navigate any situation that arises. Call Entrusted to help restore your plumbing disasters, remove water after a natural disaster, and much more.